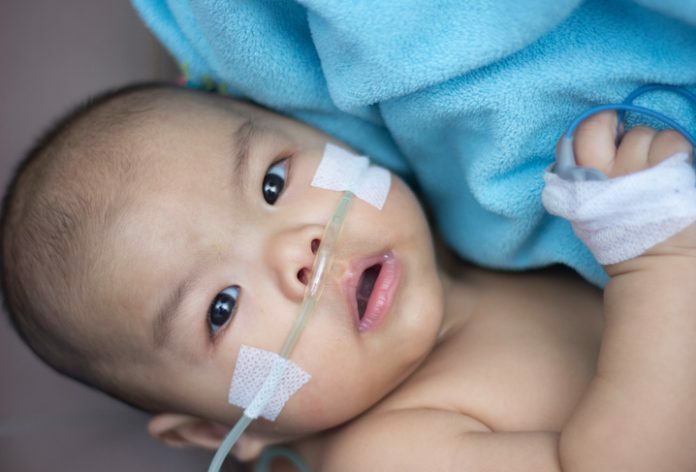 The Rady Children’s Institute for Genomic Medicine (RCIGM) and Alexion Pharmaceuticals said they have launched a strategic partnership designed to accelerate the diagnosis of critically-ill newborns with rare genetic disorders. Under the partnership, Alexion will share, research and further refine its SmartPanel platform, designed to personalize and prioritize suspected rare-disease genes from a patient's next-generation sequenced genome and specific clinical presentation. RCIGM is evaluating the SmartPanel in research to establish positive predictive value, enable electronic medical record (EMR) integration for rapid phenotypic extraction, and assess overall patient outcomes via earlier diagnosis. Alexion and RCIGM said they will collaborate on patient and disease characterization, algorithmic modules, and scalability, with a shared goal of contributing core capabilities to the open source community to accelerate research in pediatric rare-disease diagnosis. “Diagnosing acutely ill babies is a race against the clock, so it’s essential for physicians to have access to solutions that will provide answers faster and help set the course of treatment,” Stephen Kingsmore, MD, DSc, president and CEO of RCIGM, said in a statement. RCIGM is a division of Rady Children’s Hospital-San Diego, a 551-bed facility that is the only hospital in the San Diego area dedicated exclusively to pediatric healthcare. The collaboration aims to advance precision medicine for infants in an intensive care setting by combining the Institute’s genomic research expertise with Alexion data science and bioinformatics capabilities. Alexion focuses on rare diseases, having commercialized the first and only approved complement inhibitor to treat patients with paroxysmal nocturnal hemoglobinuria (PNH) and atypical hemolytic uremic syndrome (aHUS). The company’s metabolic franchise includes two enzyme replacement therapies for patients with life-threatening and ultra-rare disorders, hypophosphatasia (HPP) and lysosomal acid lipase deficiency (LAL-D). “This collaboration will help accelerate an accurate diagnosis for patients with genetic diseases, clarify available paths of intervention and provide hope to families,” said John Reynders, PhD, VP of data sciences, genomics, and bioinformatics at Alexion.